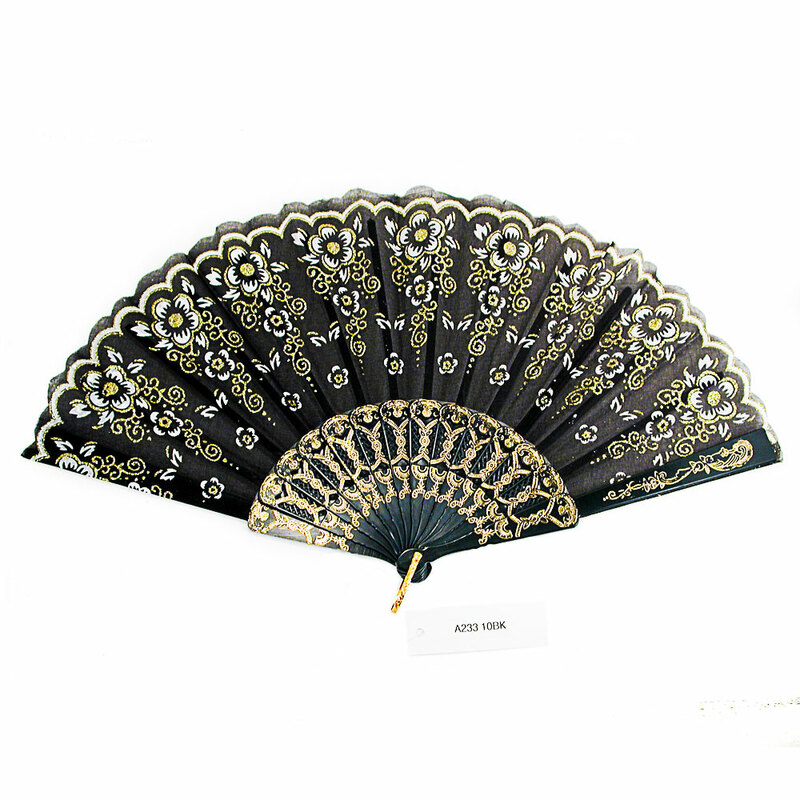 Black Fan with White Design Outlined in Gold Glitter This fan comes in several designs. It is made from black fabric with a white design. Gold glitter is used to outline and detail the design. Its a great fan for all occasions. Type: 10. Color: black Hue: Code: #000000.